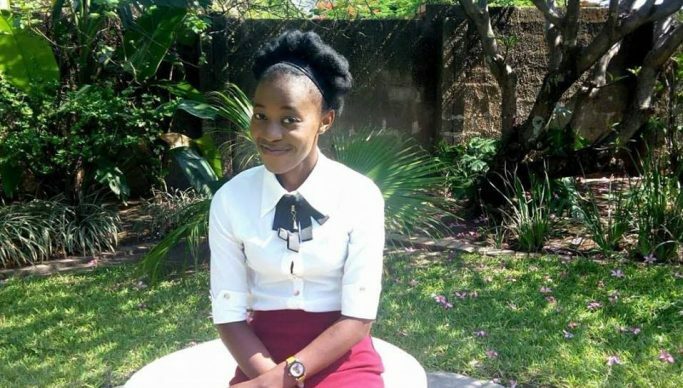 An INQUIRY into the death of fourth year University of Zambia student Vespers Shimunzhila has opened in Lusaka with a witness telling the coroner that her cause of death was due to suffocation. Vespers died in a riot that erupted at the university Great East Road campus last October over delayed payment of meal allowances. Police officers fired tear gas cannisters in hostels causing some rooms at October two to catch fire. Vesper’s uncle Panister Shimunzhila, a farmer of Namwala, together with other family members witnessed the postmortem that was conducted on the deceased on October 7, 2019. Panister told coroner Sylvia Munyinya that he identified the body of Vespers as he knew her from birth. He says after the postmortem was done in their presence, the medical doctor authored a document and released the results to them which revealed that Vespers’s cause of death was suffocation. Panister however, says he was not given a copy of the postmortem results. And UNZA chief security officer Bwalya Kabelaila narrated how police officers fired a gunshot to the excitement of students who were calm. Kabelaila of Salama Park says on October 4 last year, he was notified that there was unrest at campus and when he enquired, he was told it was over alleged delayed meal allowances. He says police officers went to the campus to keep vigil but were advised to monitor the situation from outside while the university security were to be on the look-out from inside campus. He narrated that police officers later drove into the campus and started firing teargas, which gutted some rooms at October two hostels, among them Vespers room number 25 which was even darkened from tear gas smoke. Kabelaila said students demanded that vice chancellor professor Luke Mumba should inspect the rooms after the fire was put out. “We went there and the rooms were choking with both smoke and teargas, I could feel it because the room was completely gutted with everything burning. Then students led us to other rooms which were gutted which included room 25 for Vespers,” he said. Kabelaila explained that after the vice-chancellor addressed the students, there was now a rumour that there was a fatality. He said he was then told that two students who were taken there had been referred to Levy Mwanawasa Medical Hospital and that one of the students was not responding to resuscitation while the other had fractures. Kabelaila said when he followed up on the students at Levy, he was met by a police officer who also heard about the fatality. He says a medical doctor then informed them that one of the students referred there has passed on and the body was taken to the University Teaching Hospital while the other was referred over the injuries she sustained. Kabelaila says the medical doctor told them Vespers’ cause of death from preliminary inquiry was either carbon monoxide or carbon dioxide poison. Coroner Munyinya has since directed that the doctor who conducted the postmortem on Vespers should be on stand on March 1 when the case comes up for continued hearing.